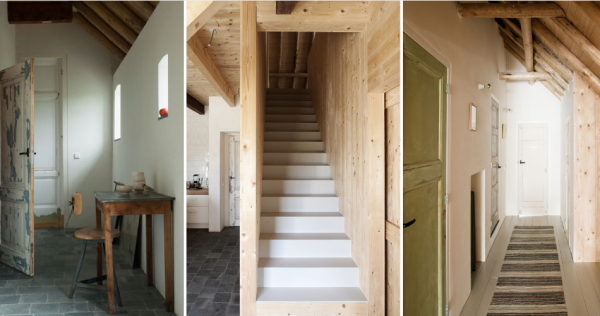 Designers, Ina and Matt, are masters at creating a wonderful barn remodeling. 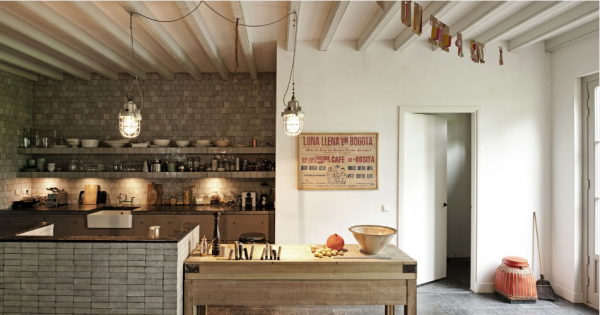 Their conversions retain the outstanding essence of a barn, while including a sleek and polished feel. Magnificent wood and wood beams all around; In the living room, a vintage black fireplace adds a dose of coziness, and a light green sofa provides seating. The accent pillows and patterned area rug bestow a sense of liveliness to the design with their wonderful colors. The gray chair and white cushion bring a bit of sleek to the space, while large windows allow for a large amount of natural light. We love the combination of wood and white in the seating area. A fabulous plant sits on a wooden table and a stunning artwork sits on the delightful concrete floors. 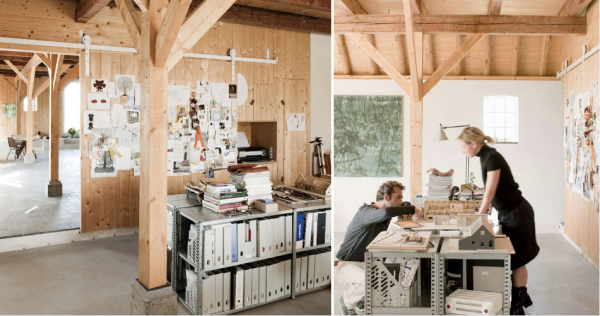 A simple but beautiful workspace. 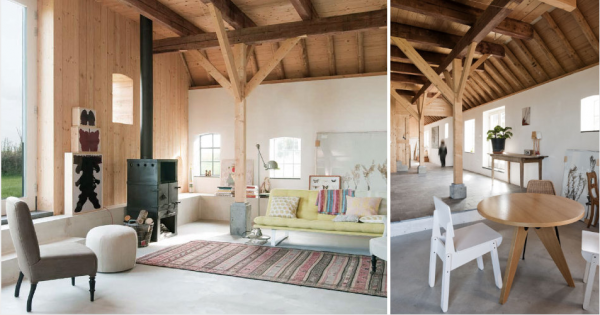 The essence of the barn is maintained on the inside and the outside in the barn remodeling. The wooden shutters are marvelous touches. 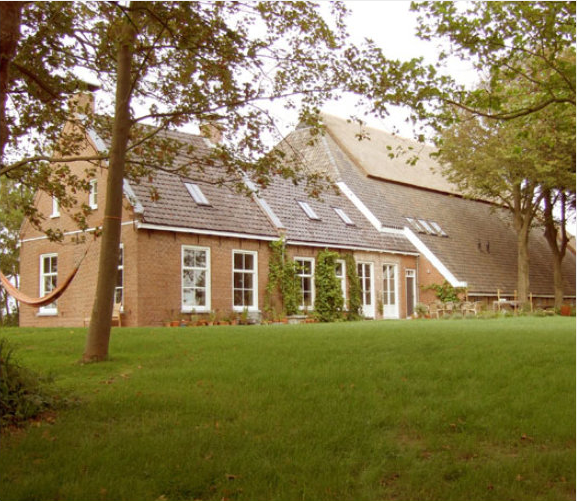 This barn remodeling is a private home in the Netherlands. 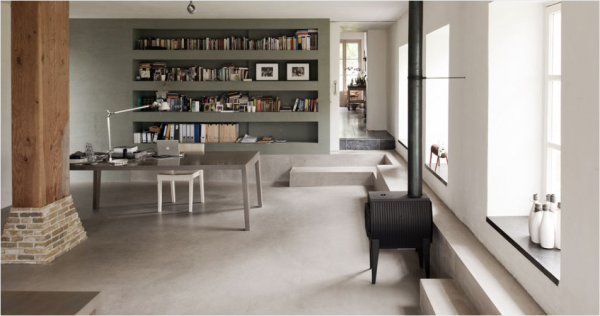 We adore the built in storage spaces, they are functional and beautiful. 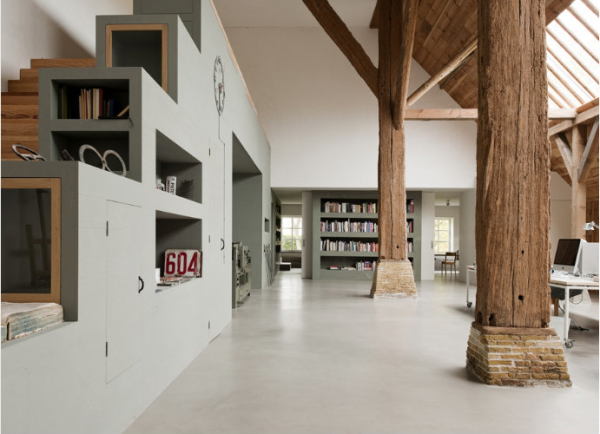 The wooden and brick pillars highlight the height of the ceilings and the large size of the space: simply phenomenal. Pale green adds a wonderful dose of muted color in this gorgeous room. The industrial-like lighting, the gray wall and island, and the wooden island, look absolutely fantastic in this kitchen.